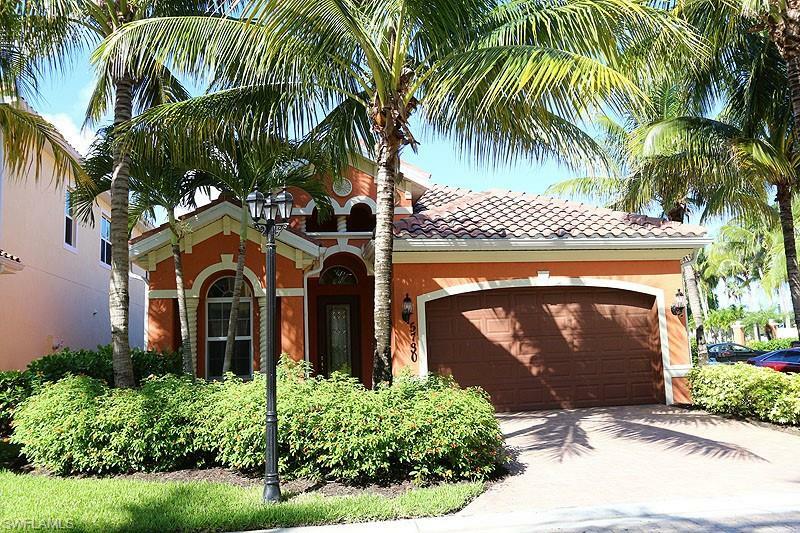 One of Naples' most desirable gated communities! Tastefully furnished in a Florida style decor scheme. Luxury appointments throughout include granite kitchen countertops, wet bar with mini-fridge in the living room, spacious master bath with separate shower and soaking tub, tiled living areas (with carpeting in the bedrooms), central vac plus much more. High volume ceilings throughout gives the feeling of open and expanded living space. This residence boasts its own private screened heated splash pool & spa. Enjoy the exclusive social amenities The Strand has to offer including a gorgeous 32,000 square foot full service clubhouse with formal and casual dining, main club heated pool and spa, internet communication center with fax service, pro-shop, exercise facility, tennis club, unique botanical gardens and security guarded gated entry. The social membership transfer is being offered complimentary with this rental (an annual savings of $318.00!). * Tenant to pay a $10 fee (per decal) for an issuance of a gate decal in order to gain access into the community. * This residence is available annually furnished, partially furnished or unfurnished.